Chiefs centre Johnny Faauli has been banned for six weeks for his dangerous tackle on Wes Goosen during their 28-24 victory over the Hurricanes. The back was red carded and deemed to contravene Law 9.13 having connected with Goosen’s head after failing to wrap his arms around the ‘Canes man. 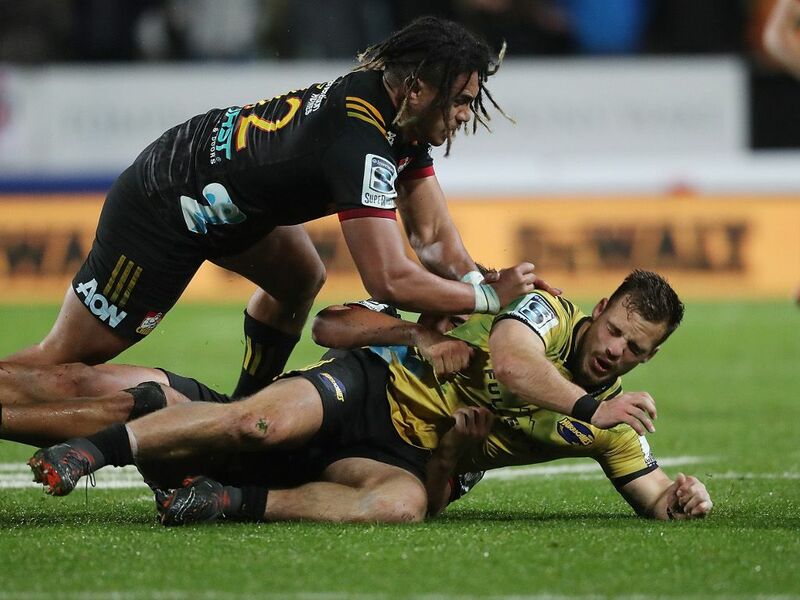 Faauli will therefore miss the game against the Hurricanes in the quarter-finals, as well as the rest of the Super Rugby season, should they emerge triumphant in Wellington. In his finding, Nigel Hampton QC ruled the following: “Having conducted a detailed review of all the available evidence, including all camera angles, additional evidence, a statement from the player and submissions from his legal representative, Aaron Lloyd, the Foul Play Review Committee upheld the Red Card under Law 9.13. “With respect to sanction the Foul Play Review Committee deemed the act of foul play merited a mid range entry point of 6 weeks. “The Foul Play Review Committee added 2 weeks to the entry point as aggravation for the fact the Player has two previous offences of a similar nature on his Judicial record and as a personal deterrent to combat a pattern of such offending by the Player.